Fantasy is a genre that, frankly, lost my interest a while ago. After Tolkien came onto the scene and introduced the epic hero’s journey, many copycats popped up, and it seemed to me that every fantasy book I read was the same. The young, white, man hero living a simple life has a quest thrust upon him by an older white man wizard and has to undergo a dangerous journey to save [insert one here: the girl, his hometown, the country, the world, or himself]. He encounters obstacles, collects sidekicks and friends, probably falls in love with an irresistible elf, completes his quest, and returns home a hero and a changed man. The hero’s journey became something for men, and mostly white men, and it just got boring for me. Then, authors like N.K. 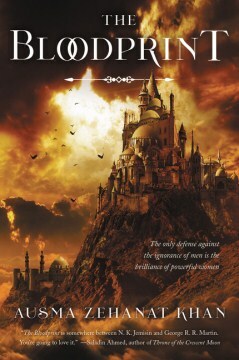 Jemisin, Rebecca Roanhorse, and S. A. Chakraborty came onto the scene and changed my mind. I learned that fantasy can be so much more than white men on an epic journey. Sure, the epic journey is still prominent, but now, we’re getting more interesting and diverse worlds, deeper characters, and heroes who aren’t white or men. Check out the list below of some our favorite fantasy series NOT starring white dudes! We’ve talked about this trilogy ad nauseam, because it’s one of our favorites of all time. You’ll find it on pretty much every “best of” list of ours, and for good reason. 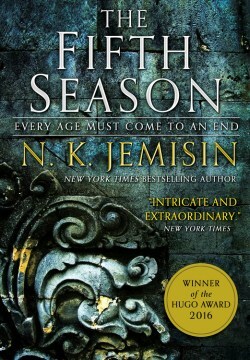 Jemisin is the first Black author to win a Hugo award (for The Fifth Season, the first book in this trilogy), and she is the first author period to win the hat trick — three Hugos in a row for all three books in this trilogy. If you haven’t read this yet, what exactly are you doing with your life? 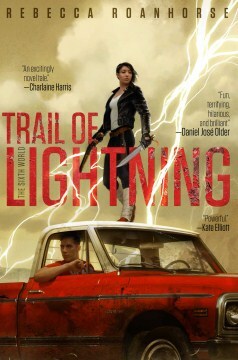 With a cast consisting entirely of indigenous people and a badass monster hunter named Maggie Hoskie in the lead role, this book takes place in a post-apocalyptic version of our world where “the Big Water” has hit, and what used to be the Navajo reservation, now Dinétah, is largely unscathed. When a young girl goes missing, Maggie is dragged out of retirement to investigate, and she enlists the help of a very unconventional medicine man to uncover the truth behind the girl’s disappearance and Maggie’s own past. This series takes place in a magical 18th century Cairo and follows a young con artist by the name of Nahri, who makes her living swindling nobles using fake magic. 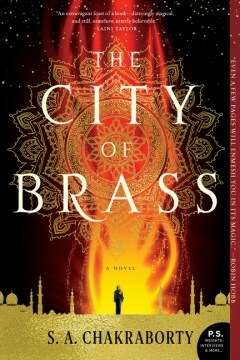 But when she accidentally summons a djinn warrior during one of her cons, she is forced on an unexpected journey to Daevabad, the City of Brass, where the six djinn tribes still reside. This lyrical historical fantasy debut brings to vivid life the ancient mythological traditions of an Islamic world unfamiliar to most American readers. 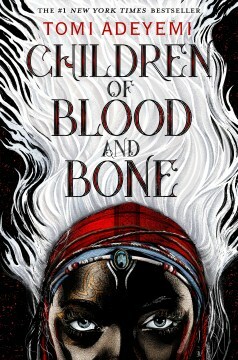 The first book in this series, Children of Blood and Bone, was released to major acclaim earlier this year and was widely advertised and sold, including being selected for Jimmy Fallon’s summer read. In case you’ve lived under a rock and don’t know this series, it’s basically Black Panther meets Avatar: The Last Airbender (or Harry Potter if you’re unfamiliar with Avatar). It follows seventeen-year-old Zélie Adebola and her brother Tzain, whose mother was a magi killed by an evil king, as they team up with a princess named Amari to bring magic back to their world and defeat the evil king, who just happens to be Amari’s father. 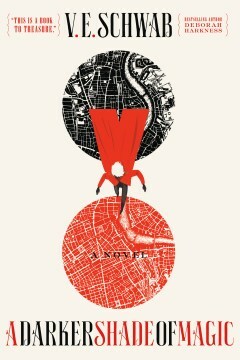 This inventive adventure from V. E. Schwab follows Kell, one of the last magicians called Travelers who have the rare, coveted ability to travel between parallel Londons: Red, Grey, White, and, once upon a time, Black. 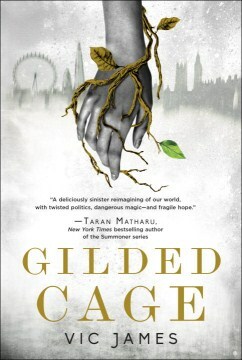 Unofficially, Kell is a smuggler, but after an exchange goes awry, Kell hides out in Grey London (our non-magical world) and meets Delilah Bard, a petulant thief who saves Kell’s life then forces him to take her into a parallel London for a magical adventure. As things become more sinister, they’ll soon learn that in order to save ALL the worlds, they first need to survive. Holly Black is another fairly popular name in the fantasy world, having authored the acclaimed Spiderwick Chronicles for kids. 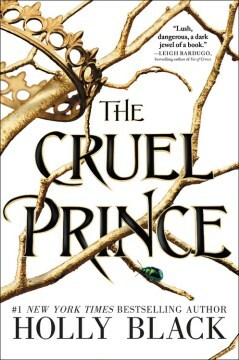 This series begins with The Cruel Prince, in which a teenage girl named Jude and her sisters are kidnapped by the fey who murder their parents. After living with the fey for a decade, Jude harbors a seething hatred for the wicked faerie prince and becomes embroiled in court politics as part of her plan to exact revenge. 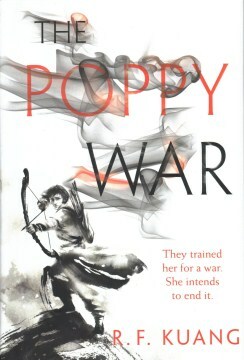 But as civil war threatens to drown the Courts of Faerie in violence, Jude will need to risk her life in a dangerous alliance to save her sisters and Faerie itself. 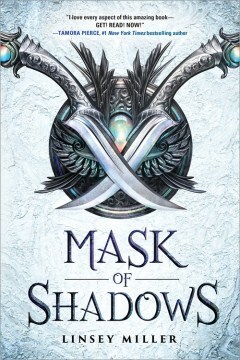 In the first book of this planned duology, Sallot “Sal” Leon, a genderfluid highway thief, has spent 10 years vowing revenge against the nobles who allowed shadows born of magic to kill their family and slaughter their people. When Sal discovers that the queen is holding auditions for a new Opal (one of four private assassins/guards), Sal decides to compete. The other assassins — Ruby, Amethyst, and Emerald — won’t accept anything but the best, the competitors can try to kill each other at almost any time, and they’ll be tested mightily in the many ways of dealing death. The first book of this planned trilogy is an epic historical military fantasy inspired by the violent history of China’s 20th century. It follows the efforts of an unexpected, dark-skinned war orphan named Rin to obtain an education at Nikan’s most elite military school in spite of prejudice and the challenges of her lethal shaman skills. Targeted from the outset by rival classmates for her color, poverty, and gender, Rin learns that gods long thought dead are very much alive — and that mastering control over her powers could mean more than just surviving school. In this dark fantasy set in modern-day Britain, the people who have magic also have control — control of the wealth, control of the politics — and control of non-magical people. If you aren’t part of that magical elite, you owe them a decade of service. You can choose when you want to do it, but if you get it over with young, you’ll never get over it, and if you wait until you’re old, you’ll probably never get through it. This series follows the all-powerful, magical Jardine family and the regular, non-magical Hadley family, who ends up in their service. In the first book of this quartet, The Bloodprint, a superstitious patriarchy that suppresses knowledge and subjugates women called the Talisman has risen. The Companions of Hira, a diverse group of influential women whose power derives from the Claim — the magic inherent in the words of a sacred scripture — fight the Talisman’s spread. Foremost among them is Arian and her fellow warrior, Sinnia, who have discovered a dangerous text the Talisman has tried to erase from the world, and they undergo an arduous journey deep into Talisman territory on a mission that may very well be their last. You can support us by ordering any of the books we mention on our blog, our podcast, or anywhere via our online store, our Place a Special Order form, or by calling the store. We will even ship directly to your home. If you like our store and our content, the best way to show us is by buying something! For more book discussions, book lists, and to see what our book clubs are reading, join our Goodreads discussion group.